Help take your outfit to the next level with these chic earrings, wear alone or with the matching pendant, creating a glamorous look each time you wear them. 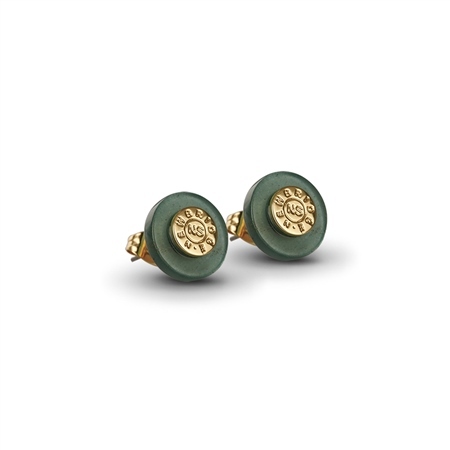 14k gold plated earrings with a protective anti tarnish layer, green Jade stone setting, unplated titanium posts butterfly backs, presented in a Newbridge silverware gift box. Product dimensions 12mm x 6mm. For hygiene reasons earrings cannot be exchanged.